OK. It’s not necessarily the game of the millennium, but as far as the last decade of Gonzaga basketball goes, this is enormous. Entering the McCarthy Center tonight is not just the Zags’ conference foe, St. Mary’s College (not university), but also the 13th-ranked team in the country (using the ESPN poll, which I believe to be more West Coast friendly, thus I’ll use for this post.) Despite their tough-as-usual non-conference schedule, this is somehow Gonzaga’s first game this season against a ranked opponent. And it’s an opponent that thumped them by 21 points back on Jan. 12 down in northern California. Yikes. Is the Gonzaga mystique at stake? For the past 11 consecutive seasons Gonzaga has either won the West Coast Conference title or taken a share of the title. Only a few other schools have celebrated such streaks, and one of those is the Wooden-era UCLA program. To make it a dozen, though, Gonzaga has to win tonight. And...they have to win all of their other games, which is possible. And...they need someone else in the conference to beat SMC. That might happen, given that Loyola Marymount (undefeated on the road) has another game against SMC, but the odds aren’t in the Zags favor. But GU also has to play LMU on Saturday...which won’t be easy. And I’m not just saying that because that school’s name reads at the top of my degree. Needless to say, they need to win tonight. 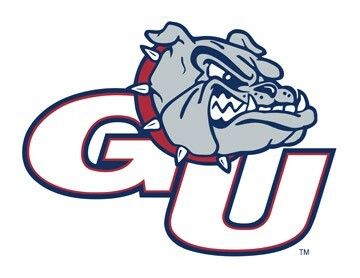 Also, a win tonight would likely secure an at-large bid for GU in the NCAA tournament, even if they can’t run the tables in what’s going to be a slugfest of a WCC tournament down in Vegas in a few weeks. This could mark a big adjustment for the Zag Nation, which will have to come to terms with the fact that, at least for this year, they’re not the behemoth of the conference. Is St. Mary’s the best team of the entire West Coast? Probably. As ESPN noted today, the Pac-12 is abysmal this year and SMC has already neutralized Gonzaga and BYU (twice), so they are likely the best team in the region. Why? Two things: Australians and a jet-fuel-powered tempo. These two factors combine to create a team that loves to toss the ball around for 16.5 assists/game and a nearly 50 percent shooting rate. Watch for Matthew Delllavedova, who looks exactly as Australian as he is, to drive hard to the rack. Under the basket, it’s Rob Jones (who has been in the WCC since I was, like, 12 years old, it seems), pulling down nearly 11 boards a game and is going to do battle with Bobby Sacre and depending on which Sacre shows up tonight, this could be a problem for the Zags. Expect the kids to be going straight NBB™ (nuts, bonkers, bananas) inside the McCarthy Center tonight. It’s been an up-and-down year for these students and they’ll be loud as all hell tonight. Or at least they should be if they want to rattle a resilient squad like the Gaels, who despite possessing a bafflingly named mascot, tend to thrive in loud environs...as they did a couple weeks back when they pissed off 22,000 ostensibly pleasant Mormons down at BYU.It looks like the school is well aware that they need an NBB™ student body. As evidenced in this video.